*There are many weapons used by the Germans during WWII, this is a small list of weapons we allow our troops to carry. "Captured" weapons are not permitted. Karabiner 98 Kurz (often abbreviated Kar98k, K98, or K98k) was a bolt action rifle chambered for the 8x57mm IS cartridge that was adopted as the standard service rifle in 1935 by the German Wehrmacht. 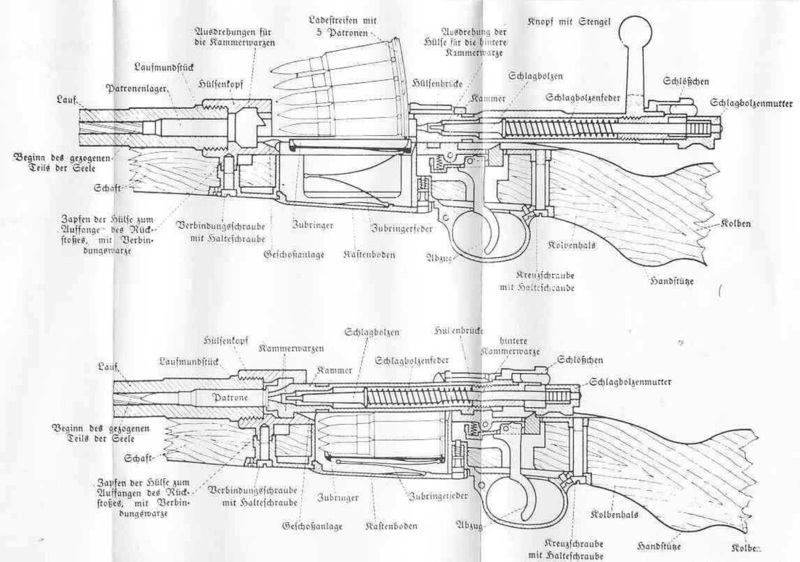 It was one of the final developments in the long line of Mauser military rifles. Although supplemented by semi- and fully automatic rifles during World War II, it remained the primary German service rifle until the end of World War II in 1945. This is THE weapon we in the GD require all troops to carry. The Gewehr 43 or Karabiner 43 (G43, K43, Gew 43, Kar 43) is an 8x57mm IS caliber semi-automatic rifle developed by Nazi Germany during World War II. It was a modification of the G41(W) using an improved gas system similar to that of the Soviet Tokarev SVT40. This too is an acceptable weapon, although the KAR 98 is the rifle we would like you to carry. The MP 38 and MP 40 (MP designates Maschinenpistole, literally "Machine Pistol"), often called Schmeisser, were submachine guns developed in Nazi Germany and used extensively by paratroopers, tank crews, platoon and squad leaders, and other troops during World War II. You could carry one of these, but good luck affording one. The Walther P38 is a 9 mm semi-automatic pistol that was developed by Walther as the service pistol of the Wehrmacht at the beginning of World War II. 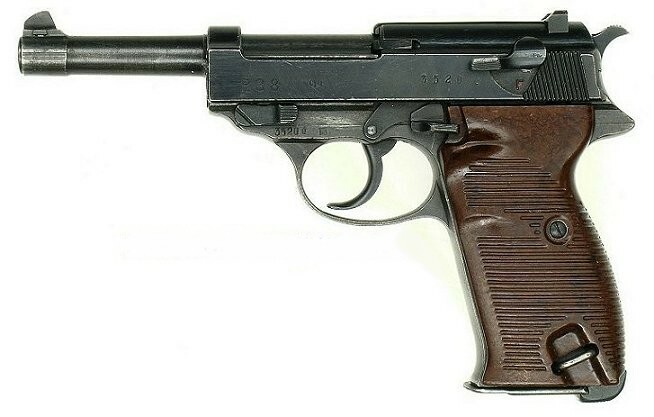 It was intended to replace the costly Luger P08, the production of which was scheduled to end in 1942. The Model 24 Stielhandgranate was the standard hand grenade of the German Army from the end of World War I until the end of World War II. 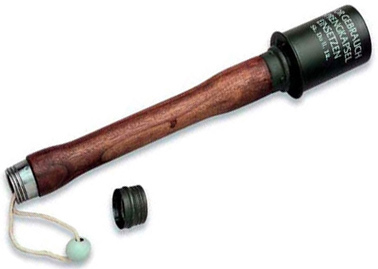 The very distinctive appearance led to its being called a "stick grenade", or a "potato masher" in British Army slang, and is today one of the most easily recognized infantry weapons of the 20th century. There are various forms of "dummy" grenades on the market today. Some have foam tips, and small smoke/explosive charges to simulate an actual explosion.